ComiConverse > Headlines > An Affleck Batman Trilogy? Will there be an all new Batman trilogy on it's way? According to recent reports it seems as though DC Comics fans are in for a treat. According to Denofgeek.us, Warner Bros. executives including the film’s crew saw a private screening of Batman v. Superman: Dawn of Justice. The response that came from the executives and crew was surprising. At the end of the screening all those watching gave it a standing ovation. This was not the final cut of the movie. The executives were very impressed with the way the film looked and the story that was depicted, but were ecstatic from the way Ben Affleck portrayed the iconic caped crusader. They were so awestruck that Warner Bros. has begun developing plans to sign on Ben Affleck for even more films than first anticipated. According to Variety, Warner Bros. have begun the process for these new Batman films by pushing back two Ben Affleck directed films. 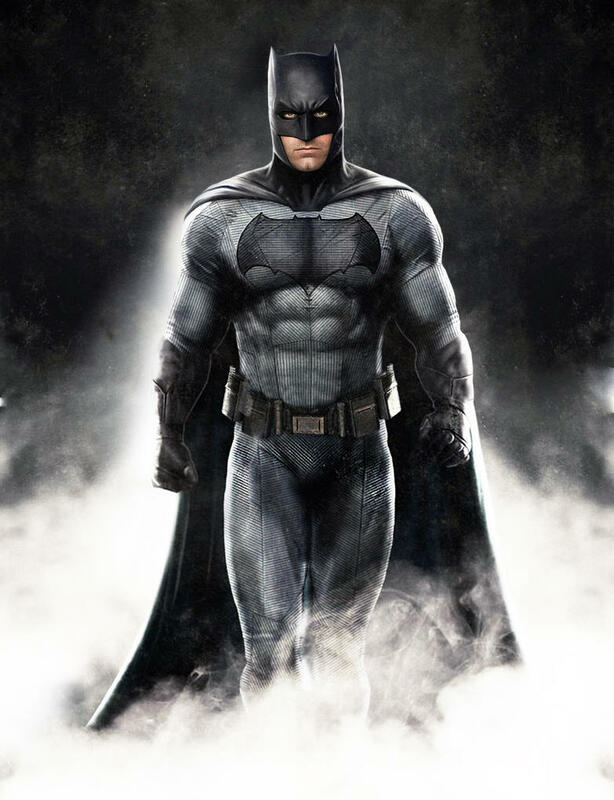 The executives who were at the screening went so far as to stating that Affleck is the “definitive Batman” and that they were reminded of the comic book Batman through Affleck’s performance. This could mean that aside from the already announced Batman standalone which is being written by both Ben Affleck and DC Comic's Chief Creative Officer Geoff Johns and directed by Affleck himself, fans can be in for a treat with two more films completing a trilogy. This should come to the delight to many fans, especially those who were sceptical when it came to the casting of Affleck as Batman and whether or not Batman v. Superman: Dawn of Justice would be any good. When Affleck was on “Late Night with Jimmy Fallon” in 2013, he talked about how the studio sat down with him to discuss how people may react and how fans have reacted to past castings for other superhero roles. In the interview he states “The first comment underneath ‘Ben Affleck will be playing Batman’ was ‘NOOOOOOOOOOOO...’ maybe we should put that (the computer) away." Superhero castings are normally followed by a lot of scrutiny from fans and critics alike. The casting of Affleck as Batman was definitely not an exception to this. Luckily many other fans kept an open mind about the casting especially after seeing the uproar that was Heath Ledger being cast as the Joker. Many people criticised the studio after Ledger was cast as the most iconic villains ever, but he showed that many fans can be wrong and ended up winning an Oscar for his performance in The Dark Knight and is considered one of the best Joker’s to ever grace the screen. After the release of the first full length Batman v. Superman: Dawn of Justice movie trailer during San Diego Comic-Con on July 11th, many have turned from hating Affleck as Batman to being excited to see him portray him and see what kind of Batman this new DC Extended Universe will have. One thing is for sure though, with the rumor about two more Batman films are being talked about to accompany the already known Batman standalone surely means that Warner Bros. and DC Comics feel like they have the right actor to portray their vision of Batman. Did the Batman v. Superman: Dawn of Justice trailer change your mind about Affleck as Batman? What story do you want the new trilogy to cover? When Ben Affleck was announced as the next Batman I was excited! I even said that to comics fans/friends of mine to a resounding chorus of NOOOOO — just like you mentioned. But, I’ll say it again: I think Ben Affleck will be a great Batman! Great article Ryan, thanks!